Two Sithy tales on sale! 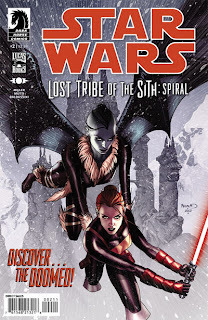 Another two comic-book Wednesday again, as Star Wars: Knight Errant - Escape #4 and Star Wars: Lost Tribe of the Sith - Spiral #2 go on sale! A few more radio show updates. My episode of Route 51 show on Wisconsin Public Radio is now archived and online here. My latest Fictional Frontiers interview is now archived here. 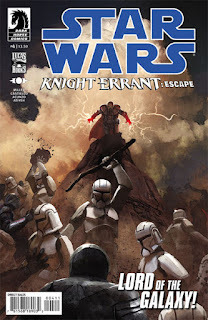 And my essay on the state of the comics business at the two-thirds point in the year can be found here. More updates on the way soon!